PlaatSoft – Page 21 – Create fascinating software for everyone! Today Pong2 is downloaded for the 5.000 times. Many thanks to all the pong players in the world. – Added check if new version is available. Added 100 english questions (5 topics). Added 20 dutch questions (1 topic). Added 20 german questions (1 topic). – High scores are saved (.xml format) on your SD card. This game is not released yet! 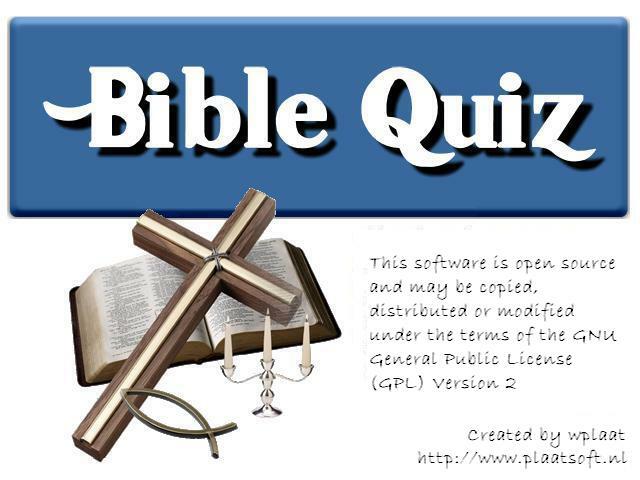 Today I started building BibleQuiz. This new game will test the player christian bible knowledge. The game is not yet released! The software is not released yet! This evening I stared working on the second release (v0.20) of Pong2. – Basic game engine ready. The building is not yet released! This evening I stared working on the first release (v0.10) of Pong2.